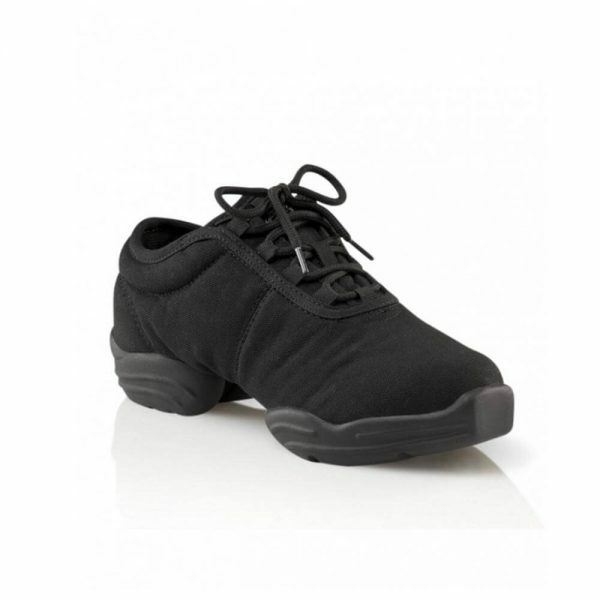 The DS03 from Capezio has a canvas upper and a hard polyurethane split sole design. It has a removable molded EVA insole. It is a unisex shoe which means ladies generally stay in their street shoe size (occasionally they go up) and men generally go up about 5 sizes. It comes in sizes 5 through 14 (medium width only) including half sizes. Stocked in black canvas.